A friend messaged me with a lnk to a site with an humorous article called Things I Learned From New Super Mario Bros. Wii. 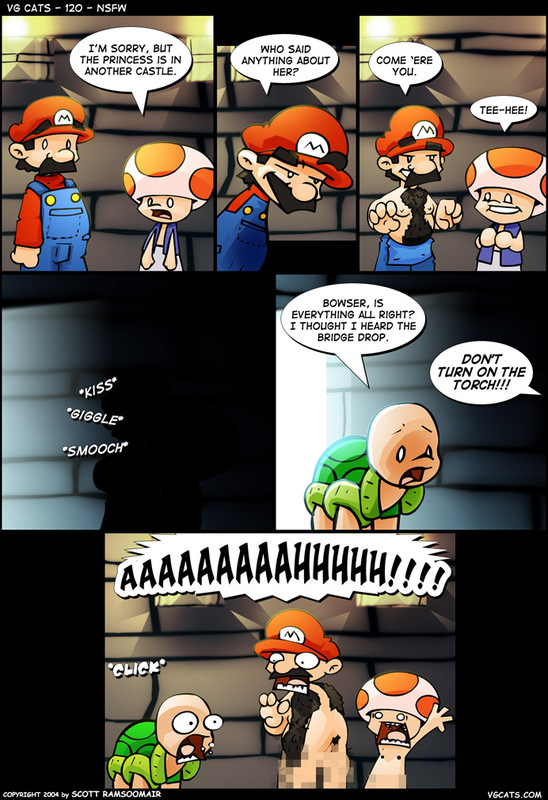 It made me laugh but it also reminded me of the following strip from VG Cats. This is what happens when Princess Peach keeps stringing Mario along long enough. Check out more of the VG Cats site. There’s some good video game related humor there.